The SSI SCHAEFER Group is a world leading provider of reusable packaging solutions. The SSI SCHAEFER group employs over 9,500 people at its group headquarters in Neunkirchen, Germany. SSI SCHAEFER has more than ten domestic and international production sites and approximately 70 worldwide operative subsidiaries. 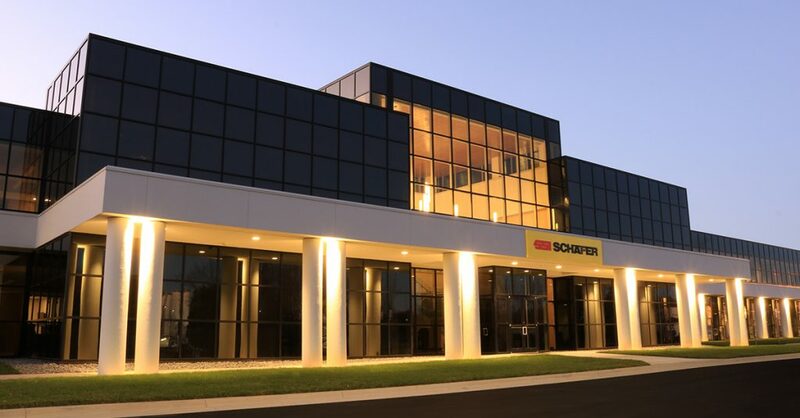 Across six continents, SSI SCHAEFER develops and implements innovative industry-specific answers to its customers’ unique challenges. As a result, the company plays a key role in shaping the future of intralogistics. The SSI SCHAEFER packaging systems division is a leader in reusable packaging and sustainable totes, containers, and bins. SSI SCHAEFER designs, develops and manufactures reusable packaging systems for various industries, including automotive, agriculture, appliance, electronics, warehouses, industrial plants, workshops and offices. The SSI SCHAEFER portfolio includes manual and automated solutions for warehousing, conveying, picking and sorting, and technologies for waste management and recycling. In addition, SSI SCHAEFER is now a leading provider of modular, regularly updated software for in-house material flows. Its IT team, with a headcount in excess of 1,000, develops high-performance applications and provides customers with in-depth advice on the intelligent combination of software with intralogistics equipment. SSI SCHAEFER’s broad IT offering, including its own WAMAS® and SAP products, delivers seamless support for all warehouse and material flow management processes. Solutions from SSI SCHAEFER improve the productivity and efficiency of customer organizations – not least through the highly precise monitoring, visualization and analysis of operational metrics for proactive intralogistics management. SSI SCHAEFER offers highly sustainable packaging solutions for an array of applications. Custom designs are also available to protect even the most intricate specialty parts. Plus, SSI SCHAEFER has packaging experts to help with even the most complex applications. Give SSI SCHAEFER a call today and start working towards sustainability.